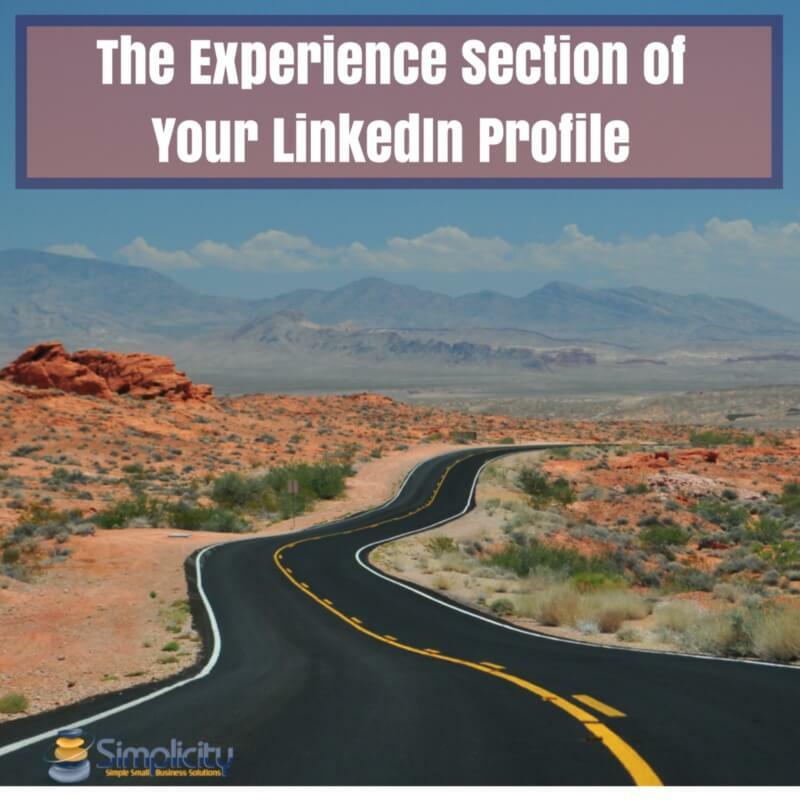 The objective of the Experience Section of your LinkedIn Profile is to give visitors to your profile information about your past & current positions. Read this post to fine-tune your profile! For many people this is the first section on their profile because they completely skip the Summary section. If that’s your case, please also read why ‘3 Lines on Your LinkedIn Summary is not Enough’. Then come back & read about the Experience Section of your LinkedIn Profile, the 2nd section from the top. As mentioned in the intro, this is the section that talks about your past & current positions. It’s organized in a chronological order, with the newest experience at the top. Depending on your age, career level and frequency of job changes, you might have more or less entries. When you add a new position on LinkedIn, you are prompted to add the name of the company you worked for. If they have a company page on LinkedIn, your personal profile will be linked to this company page. You can double check if you did it right by searching for the logo that will display next to the new position (see image below). If there’s no logo either you didn’t do it right, your company doesn’t have a profile on LinkedIn or they have not uploaded a logo. It’s almost never the title that you have or had on your business card. Those are too generic and won’t get you found by clients or recruiters. LinkedIn gives you 2000 characters to describe your responsibilities, achievements & tasks in this section. Use them. This is a section that counts for LinkedIn’s internal search engine, so use your keywords. Start with an overview or a summary of your experience at this particular position. Use a couple of sentences to give the reader an overview of what your job entails. Always write in the first person. Then add your responsibilities, achievements, services. Bullet points are fine, but it shouldn’t look like a copy/paste of your website. The experience section depends on your objective. A job seeker’s experience section will look different from that of an employee and that of an employee will not be the same as the one of an entrepreneur. Below I explain how to customize this section to your objective. If you are currently in transition, the experience section is one of the more important ones on your profile. Make sure your last 3 – 5 positions give a lot of detail, focusing on achievements & responsibilities. Keywords are really important here because you want to be found by recruiters & hiring managers. If you have left the corporate world and are running your own business, the summary is the most important section of your profile. However, you can still use the experience section to give more info on your services (current position) and on your background and how you got to where you’re at now (past positions). You can also get creative and add more than 1 position at your company if you want to focus on different services or activities. This gives you more space to talk about these different services and also allows you to ask recommendations for specific parts of your business. To do this you would simply add a new position at your company and also mark it as ‘I currently work here’. If you have more than 1 current position you can also reorder them by dragging them around. Check out my profile to see how I organized mine. Whether you are a job seeker or an entrepreneur, you need recommendations! According to LinkedIn Stats, profiles with recommendations get up to 7 times more inquiries than profiles who don’t. So go ahead, reach out to your best clients, coworkers or superiors. Not sure what the best practices are when asking for a recommendation. Read this post ‘How do I ask for a recommendation on LinkedIn‘. It comes with a handy pdf to print out. Last but not least you can add visuals (pdfs or powerpoint presentations) to your experience section. If you are a job seeker this could be for example a Youtube video of your employers product, a scanned recommendation letter or any other visual that supports your experience at this job. If you are a business owner, the sky is the limit. You can add your service brochure, a link to your landing page, feature your best selling product with an image, etc. etc. The aim here is to make your profile stand out visually from the rest and almost make it look like a mini-website. What if you don’t only have one activity? How do you then organize your experience section or summary? I’ve created a little visual that will help you understand how to organize your experience section if you have more than one current job. And if you’d prefer a quick series of videos to help you transform your LinkedIn Profile into a client magnet then check out my LinkedIn Profile Quick Fix for entrepreneurs. Or for Job Seekers.